Watergate Street 1920's? but viewed from what end? This is a great old photo. The more you look the more you see. Look at the young lad in the fore ground.... to the left, wondering what the rest of the locals are looking at. There's a street name on the left hand side...... any guesses?? 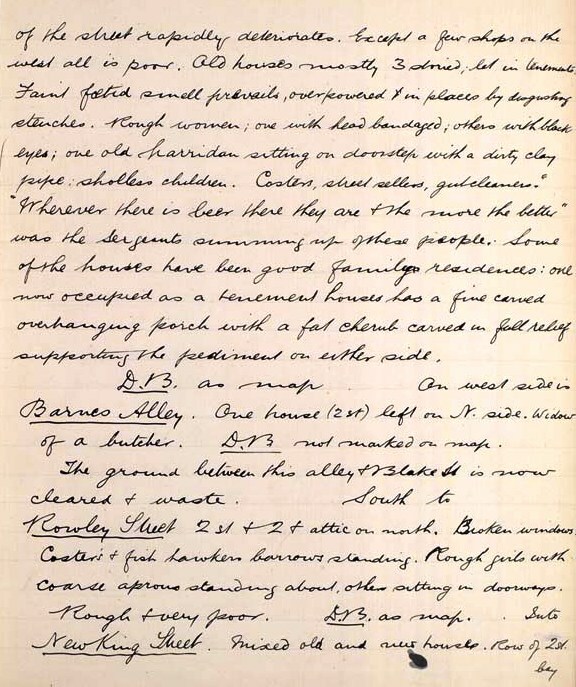 This extract from Booths notes of London shows Rowley Street was somewhere close to Barnes Alley and I presume Queen Street. Extract courtesy of London School of Economics and Political Science. Thanks for the info...Where was Rowley St....Has it gone now? I agree with Julie ... it is either Newley Street (unlikely) or Rowley St. I was very happy to discover this website. I needed to thank you for this excellent information! And I have bookmarked your blog to read. Thank you for your kind comments on the site. Have you traced ancestors to this area? 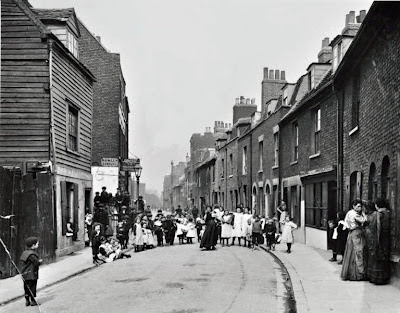 Rowley Street, Deptford ran west to east, north of Evelyn Street, between New King Street and Watergate Street. 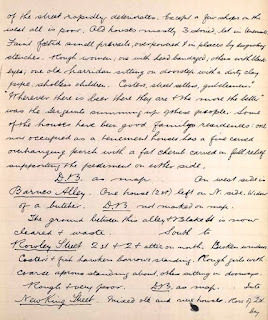 [The A to Z of Victorian London by London Topographical Society] My father said that at that time in Deptford some children went about without shoes because of poverty. Some children in the photograph are shoeless. I agree with the previous comment. I've heard something like that from my relatives too.